How do I handle a child at elementary school who bullies my own child? This is a tough one, and I’m sorry you and your child are going through this. My own son was bullied in elementary school, and I was heartbroken and shocked to find out that his teacher was actually encouraging and participating in it. I didn’t know until years later the depths of her insane behavior, or I would have taken legal action. I do know the teacher in question was let go the year after my son left her class. Anyway, I would first bring it to the attention of both the teacher and the school. It’s nice to think the kids can just talk it out, and there’s all kinds of bumper sticker-y advice about this kind of thing, but it’s been my experience that this strategy doesn’t work. Nor, often, does talking to the child’s parents, who are usually either oblivious to or supportive of the behavior (where did the child learn it in the first place?). Creating a written record might be important if the behavior escalates to either theft or violence. If the school doesn’t want to do anything about it (“Kids will be kids” and all that nonsense), go to the school board or the superintendent. Every school district should have a zero-tolerance policy against bullying, and it should start in the younger grades. It’s fine to have the kids try to work it out under supervision, but don’t expect it to do much. In fact, be prepared for the bullying to get worse as a result of either forced mediation or your bringing it to the teacher’s attention. That’s not a reason, though, to do nothing. You need to nip this in the bud because other kids may jump on the bandwagon and participate as well. Or the same bullying kid may be tormenting other kids. Also, the longer it goes on, the more miserable your child will be and the more damage it could do long term. If the teacher is aware of the bullying, they can watch for it and try to avoid putting the 2 children together as well. My son’s bullying stopped for 2 reasons: he changed schools by going on to middle school, and he started taking tae kwon do. By the time he was in the middle of high school, he had a black belt, and no one messed with him. He wound up being fairly popular and graduating high in his class with a lot of activities. 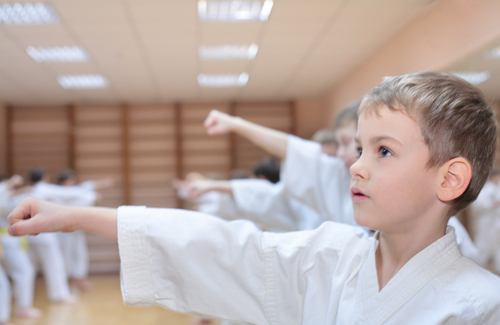 I credit the martial arts training with much of his self-confidence and for him developing a little bit of a reputation as someone who might be able to fight back if someone tried to harm him (to my knowledge, he never had to actually use his tae kwon do). 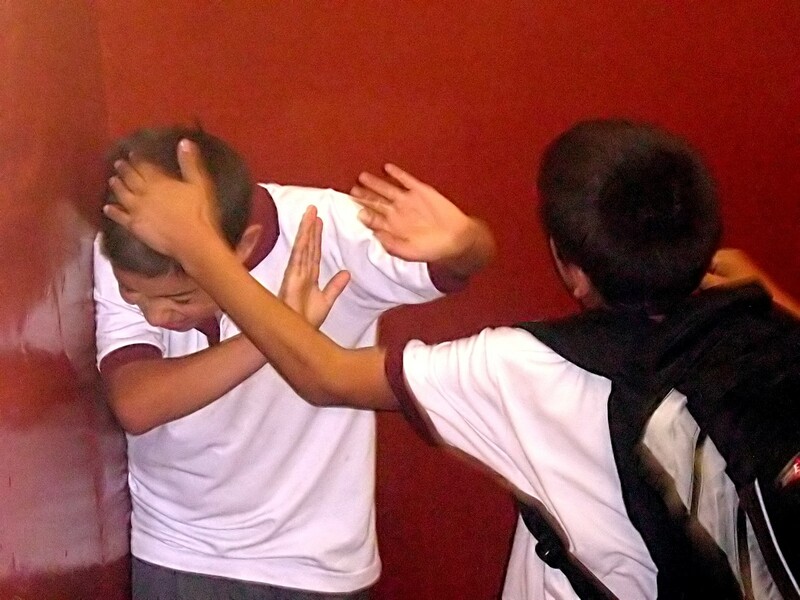 Every school district should have a zero-tolerance policy against bullying, and it should start in the younger grades. It keeps kids busy and out of trouble after school and on weekends. It gives them the self-esteem to stand up for themselves. It teaches them how to fight back if they are physically attacked. It teaches kids how to avoid fights or how to end them quickly if they do break out. It introduces them to new cultures and ideas. I highly recommend enrolling your child in something similar, even if for a short time, to build confidence and have an activity outside of the school social circle. I also suggest watching your kid for any behaviors that could be provoking teasing and helping them curb those. Not that the bullying is justified, but kids need to learn how to be themselves without inviting attack. It’s a fine line and a skill that many adults still haven’t mastered. Meanwhile, I’d try to teach your child the skill of not engaging. It’s very difficult to just walk away when being teased, and sometimes it’s not physically possible. But if your kid can simply just look at the bully for a few seconds, say absolutely nothing, and then coolly walk away, it might just deny the bully the satisfaction they were looking for. It’s a good strategy for kids to learn anyway. Also, I’d advise bullied children to try not to find themselves alone with the bully, nor in groups where the bully’s minions might join in. If your kid has a buddy to hang out with on the playground or in the locker room, it leaves them less vulnerable to bullying. As a final note, I did tell my son that if someone physically bullied him, he was within his rights to defend himself with his own hands and feet and that I would support him, even if he got sent to the principal’s office or suspended from school. What are some things parents wish non-parents would stop saying to them? Where can I find a safe option for an online mentor for my child, who’s a talented writer? How should I teach a two-year-old to stop hitting others?